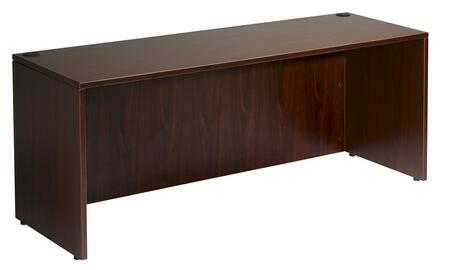 The 48 x 24 inch desk shell is perfect for areas where basic work surface is the need. Used as a student desk or salesman's workstation this high pressure laminate unit provides the basic necessity in the workplace. The Cherry laminate is durable yet stylish as well.